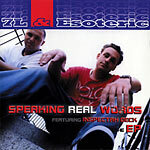 Re-issue of 7L & Esoteric's first EP. Now with bonus tracks! This is their early early stuff....bangin!! !